Nature planet ecology care flat 3d isometry isometric concept web vector illustration. 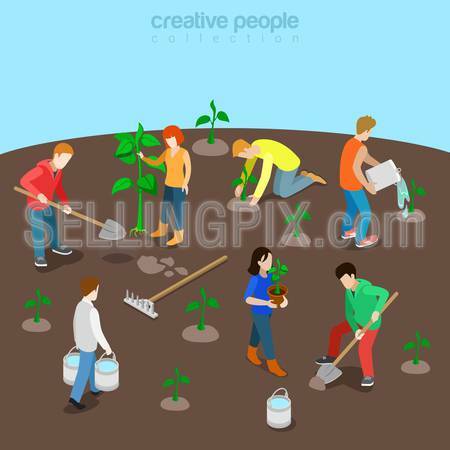 Young people plant tree seedling watering sprout. Creative people collection.